Machinery is at the heart of various industries and over the years, the time-based approach of preventative maintenance has been the go to method of keeping this equipment in tip-top shape. However with advances in technology, new techniques such as Predictive Maintenance has gained popularity due to the numerous benefits it brings to machine owners. Preventive maintenance relies on statistics such as averages and expected life span, to determine when maintenance should take place. This method fails to take into account the present condition of equipment, and because of this, can miss maintenance opportunities and becomes more cost and labor intensive. Predictive maintenance employs various techniques to evaluate the current condition of machinery in order to decide if and when maintenance should occur. This system makes use of condition monitoring, which involves the periodic or continuous monitoring of machine parameters to detect significant changes which may indicate a developing fault. If or when a detection is made, maintenance can the be scheduled ahead of any possible breakdown or failure. The predictive method ensures that maintenance is carried out only when necessary. It helps to reduce unexpected breakdowns by scheduling maintenance inspections which occur whilst the machine is still in working order, thus minimising disruption to works. With its numerous benefits, it’s easy to see why preventative maintenance is viewed as the driving force for improved productivity and is be adopted by more and more industries. Lets take a look at how IoT base predictive maintenance works and the technology behind it. 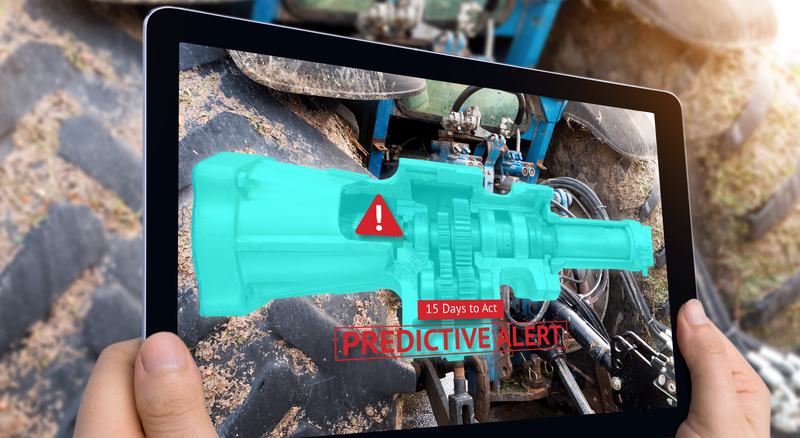 To correctly monitor the condition of machinery, predictive maintenance relies on sensors, data collection devices and analysis software and this is where the Internet of Things comes in to play. With the growth IoT and advances in machine learning, smart sensors are becoming increasingly available in many industries. These devices enable machine operators to monitor minor changes and take action when required to prevent major problems occurring. Multiple sensors are often used so that multiple parameters are monitored along with scheduling tools for coordinating maintenance teams. All this means that problems are attended to quickly and efficiently. The icing on the cake these systems can also predict when important components are likely to fail and need replacing, enabling owners to carry out repair operations before any major breakdowns occur. IoT monitoring systems also generate a lot of data which can then be used by organisations to optimise their maintenance workflow even further. Seebo is one of the current platforms that provides condition monitoring and predictive maintenance services to manufacturing companies. This IoT platform helps companies to gain valuable insights into their production systems and to optimise them. Seebo enables companies to increase their production capacities, using automated root cause analysis. It helps them to minimise downtime and increase overall equipment effectiveness. PTC’s Thingworx is another excellent platform that gives manufacturers the necessary tools to optimise equipment efficiency. Freewave technologies enable companies to remotely monitor their equipment and provides data management services to help them make sense of it all. Other notable industrial IoT platforms include Digi, SkySpark and SORBA IoT. These providers are helping manufacturers to reduce and even eliminate unnecessary breakdowns. IoT technology is not only making it possible for us to have smart connected cars and home appliances; it’s also providing a unique way to monitor and maintain them. Plugging into the OBD-II port, these monitors provide users with vital information regarding the health of a vehicle, enabling them to carry out maintenance to prevent breakdowns. Popular systems include FIXD, CarLock, Zubie and Car MD. The same can be said for preventing appliance failure, these systems provide insights into the performance and health of appliances to reduce the risk of failure. Despite the obvious benefits, these systems still face some challenges. Fears are that organisations could become dependent on IoT infrastructure, which could fail or be victim to security attacks. A workaround would be to establish well-documented incident management plan and to monitor the IoT devices themselves to ensure they continue to gather accurate metrics. There is also a lack of standardisation for IoT solutions. A wide array of protocols and standards exist, making it challenging for organisations to set up an adequately integrated predictive maintenance system with IoT technology. Proper planning and specification needs implementing by businesses wishing to employ these systems. We expect to see better solutions to these challenges and improvements to the IoT technology in the near future. As the Internet of Things continues to grow, it is evident that IoT predictive maintenance will become more popular in the method of machinery maintenance. Here at BuyAnyPart, we are keeping a close eye on the industry trends and we are in the processes of developing an IoT product that possess the required Artificial Intelligence and Machine Learning Capabilities to predict when components may fail and need replacing.